This “fairytale” castle is hugely popular with our guests. A highlight is the birds of prey show, available throughout the summer months. Check their website for timings – it really is a ‘must see’. For a special treat . . . On your way back from Dunrobin, stop at the Trawler Fish and Chip shop in Golspie. You won’t be sorry! Best eaten outside on the beach . . . but you can eat indoors if the weather’s bad. Local artisans make the beautiful pottery you’ll be using in our cottage as a guest. The Pottery is made just outside Tain, about 25 mins drive from Highland Farm Cottages. Local brewery with quality beer in nearby Cromarty. 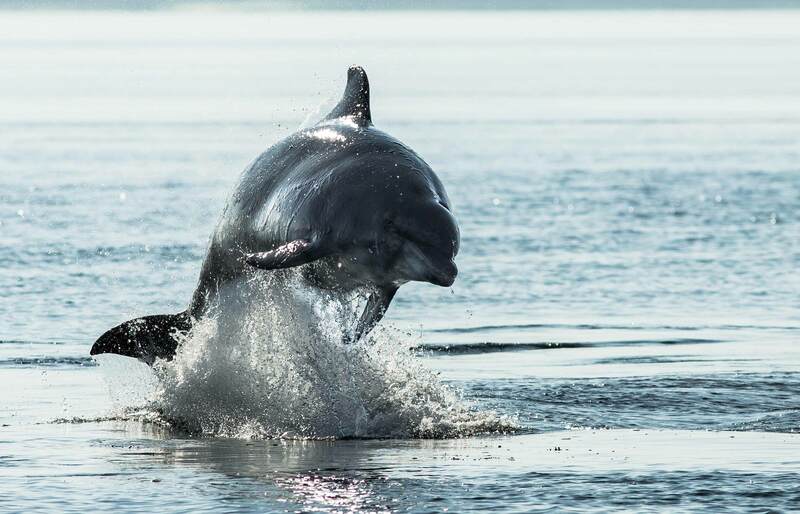 This is our recommended dolphin trip. The operators are careful not to bother the dolphins but will always manage to ensure you get a good view of the bottle-nosed dolphins. The journey to Loch Ness is just 25 miles from Highland Farm Cottages and it’s a great place to visit during your stay with us. “Nessie-spotting” on the iconic Loch Ness. 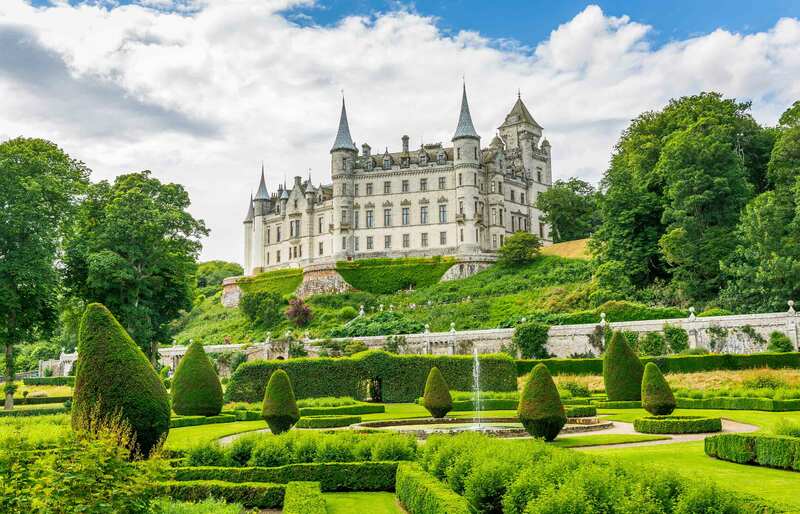 Tours last between one and two hours, and set off from opposite the Clansman Hotel on the A82. 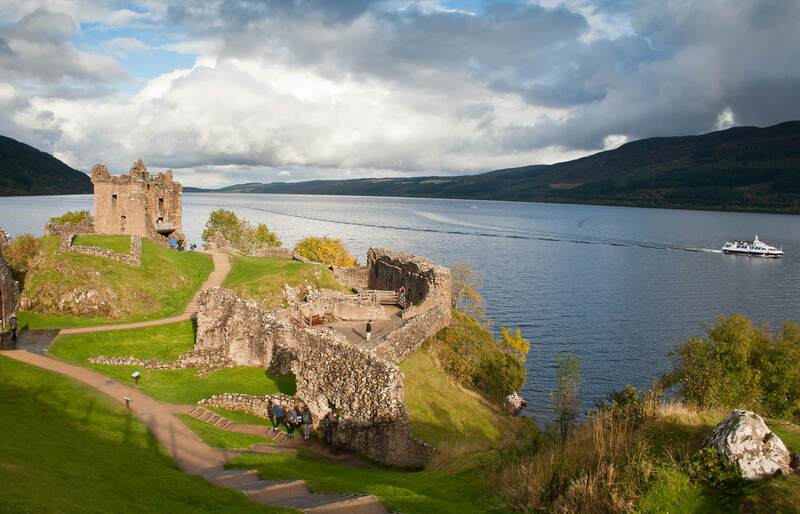 We recommend you combine this with a visit to nearby Urquhart Castle. It will be a three to four-hour visit in total, allowing 45 mins to drive each way. See their websites for details and to book your cruise. The Highland Livestock Heritage Society’s Drovers Exhibition charts the important history of the Highland drover story. Opened by The Princess Royal in July 2008 the detailed exhibition incorporates an archive on the drovers in electronic form and hard copy as well as mounted wall displays tracing the era when drovers made journeys with cattle and sheep over vast distances to market. There is a café on site too, so why not build in a bite to eat with a bit of history when on your way to or from the West. Visit Dingwall and Highland Marts on the outskirts of Dingwall or see their website. Taste some of the best beer in the area and tell us which you prefer – Black Isle or Cromarty brewery’s? They’re quite near to each other, so if your driver will take you, visit both!